Maneet Kaur: "Textile design is essentially the process of creating designs for woven, knitted or printed fabrics or surface ornamented fabrics. Textile designers are involved with the production of these designs, which are used, sometimes repetitively, in clothing and interior decor items." How I got into Textile Designing? Maneet Kaur: "After completing my studies from Jaipur, I came back to Dehradun and started working for an NGO for embroideries and quilting for 5 years. 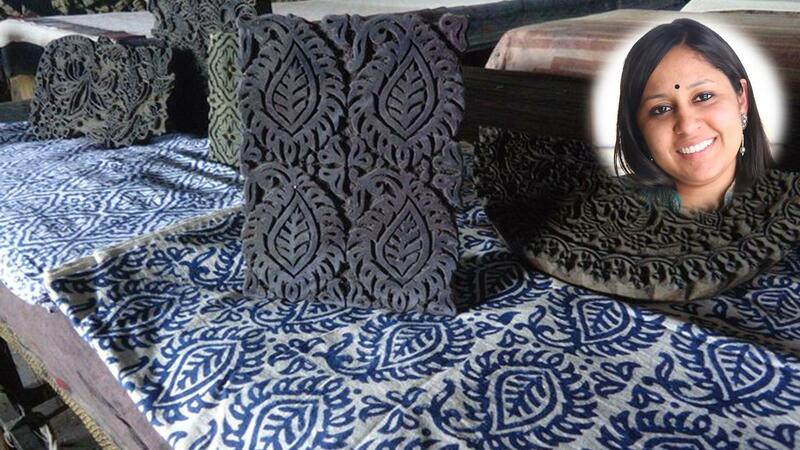 After that, I started my own design studio in 2014 and designing hand looms and block printing."